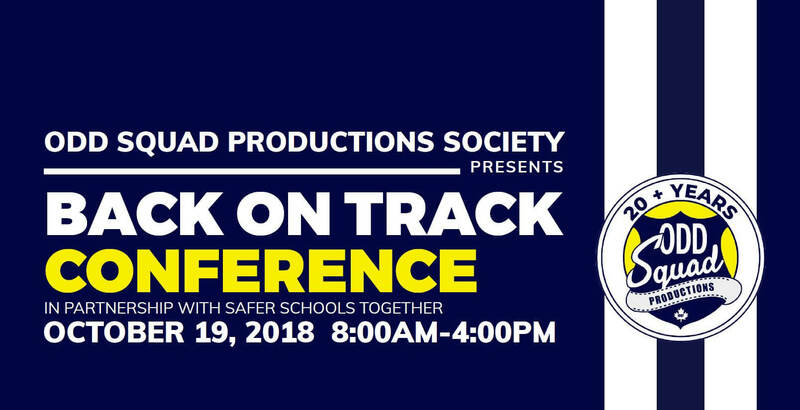 Odd Squad Back on Track conference will tackle the tough issues of drug use ‘Back on Track’ conference set for October 19 Vancouver, B.C. – With […]This post is only available to members. Jesse Miller, a social media expert, will speak about social media awareness, Internet safety, and online content evaluation. Vancouver Police Department Sgt. Dave Instant will speak about the new marijuana laws. Formed after its founders filmed their first amateur documentary on the streets of the Downtown Eastside in 1997, the Odd Squad has evolved into a non-profit agency that films and produces educational videos for youth and law enforcement agencies and offers peer-to-peer and in-person educational programs to thousands of students, parents, teachers, and community groups in B.C. and across Canada each year. The group also puts on numerous in-person presentations every year, and actively works in gang prevention and exit strategy programs focused on young women. The group is currently putting the finishing touches on a three-module video series about fentanyl that will be made available free to every school in B.C. Crafted over two years, the videos follow the escalating crisis in communities across B.C., showing first hand the devastation this drug can wreck on addicts and their loved ones. The videos come with a resource guide helping teachers present them to their classes. The production was paid for by private donations raised at the Odd Squad Productions Society gala last year, as well as with the support of the Vancouver Police Department, the Vancouver Police Foundation, TELUS Community Fund, Save the World Foundation, and Odd Squad volunteers. The society is inviting police and other law enforcement officers, parents, educators, healthcare workers, politicians, and anyone else serving on the frontlines of these issues – or with an interest in the issues – to attend this year’s conference. The conference will be followed by the evening gala fundraiser. The Odd Squad is a not-for-profit Charitable Foundation committed to educating youth about the perils of drug and substance abuse, the truth about gangs, the consequences of social media applications and other important community issues. Donations are not absorbed by bureaucratic overhead but go directly back into film productions, peer-to-peer programs and prevention education presentations that have been some of the most urgent clarion calls for societal change. The proceeds from the Conference and Gala Fundraising event will assist the Odd Squad in continuing this important work. Learn more about Odd Squad Productions Society, event tickets or sponsorship opportunities.